A mysterious old trunk is unlocked to reveal its long-kept secrets: diaries and a manuscript that tell the 160 year-old love story of Rachel and Ethan in antebellum Louisiana. Orphaned, Rachel is thrust into Ethan’s family, one she doesn’t know, in the care of a man she never met, and taken to Louisiana, far from the Virginia she is familiar with. Bewildered and afraid, she finds comfort in an unexpected new relationship. In a family caught in the throes of lies, infidelity, death, and eventually the Civil War, Ethan is struggling with changes in his own life, and with his faith. 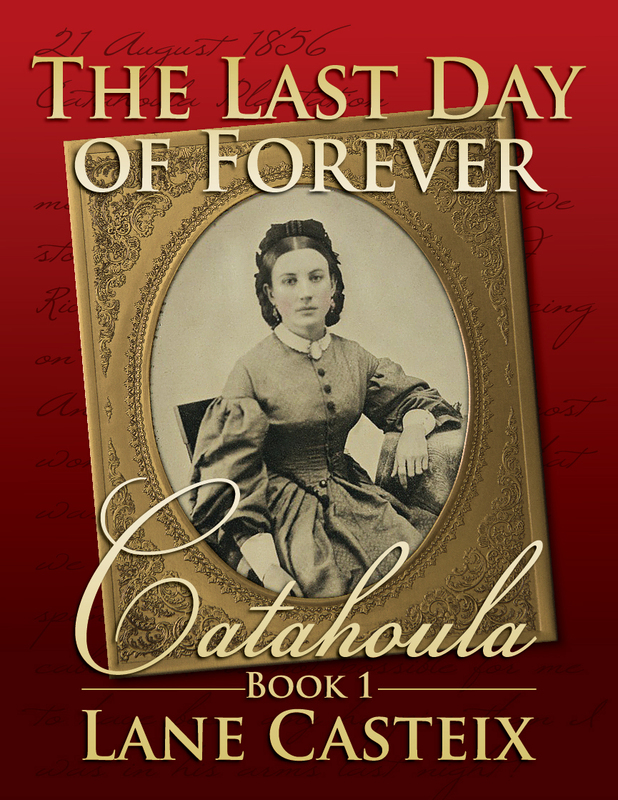 In 1856 he is just beginning his last summer of adolescence at Catahoula Plantation before going off to school at the Virginia Military Institute. Falling in love was not part of his plans—until Rachel came into his life. Spirited and daring, she is unlike any woman he has ever known. He didn’t expect she would turn his world upside down like she does, nor did he anticipate how strongly his father would react to how they feel about each other, or the extremes to which he will go to keep them apart. For general information on the Catahoula Chronicles series visit here. FREE digital version at Amazon, Apple, Barns and Noble, and Kobo. The paperback is available at both Amazon and CreateSpace. Sign up on the Talk to Me page to receive announcements concerning availability and special offers.